SPRINGFIELD, Ill. (WLS) -- Gov. Brunce Rauner is challenging state lawmakers to freeze property taxes as the battle over the state budget continues in Springfield on Wednesday. 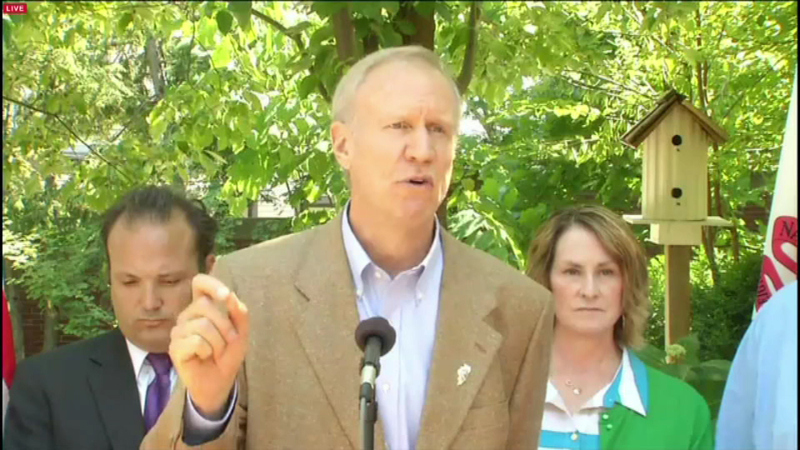 Rauner said Illinois property taxes are "crushing the middle class" and that must change. Under a plan proposed by Rauner, lawmakers would no longer mandate when property taxes are increased. "We want local voters to have a voice and control over when and how property taxes are increased," Rauner said. "Local voters have a voice in that, to have local control." Both the House and Senate discussed a property tax freeze Tuesday, but Rauner said those discussions are not sincere.